Secondary cancer. 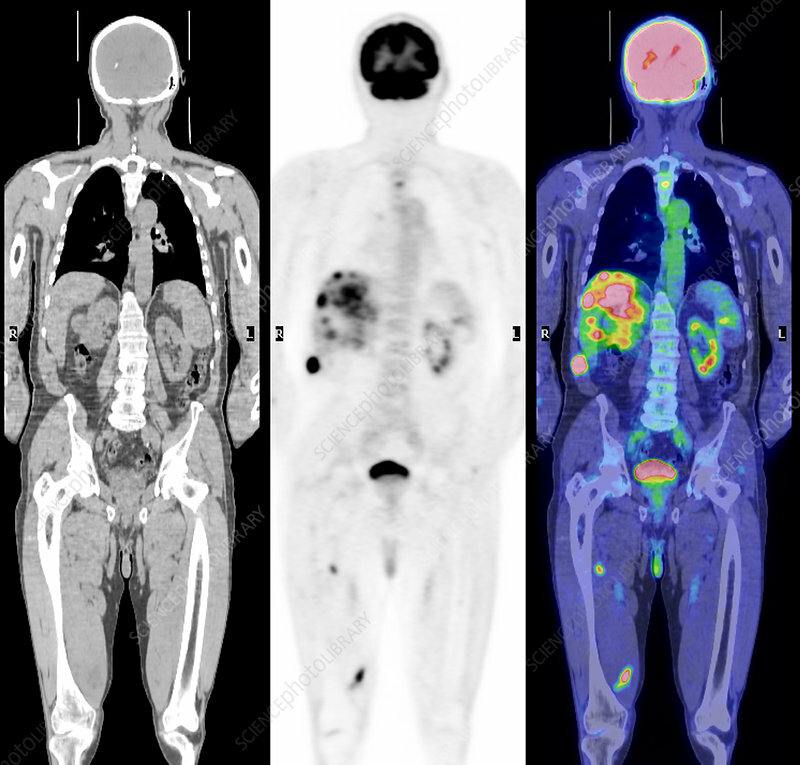 Computed tomography (CT) scan (left) and positron emission tomography (PET) scan (centre) of a patient with metastatic tumours in the liver, bone and muscles. The scan at right is a coloured composite of the other two. A radioactive tracer, injected into the patient's bloodstream, has been taken up by the tumours. A metastatic cancer is a secondary cancer that has spread (metastasised) from the site of the original cancer, which in this case was a melanoma. This is a cancer that arises from pigment cells (melanocytes) in the skin and that is mainly caused by ultraviolet radiation in sunlight. Tumours can be removed surgically, however once a cancer has spread the prognosis is poor.